With the Internet of Things (IoT) and our easy access to technology, we can virtually (no pun intended) always find step-by-step guidance on how to reach our goals. As Seth Godin suggests, maybe it’s time to stop being a ‘serial idea-starting person’, and to start being an ‘idea-shipping person’. Begin by dedicating yourself to your passion and taking at least a small step towards your goal every day. The more you do now, the more your future self will thank you. 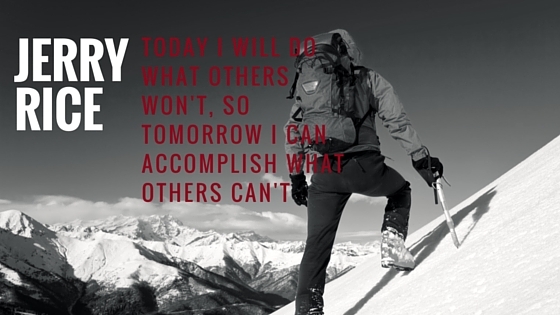 Today I will do what others won’t, so tomorrow I can accomplish what others can’t”. So what can you do today so you can accomplish more tomorrow?